Canadian Tire ProStart Installation + bypass module. iDataStart HC series 1-way series remote starter. -Two 1-way 5-button Super Slim transmitters. -Up to 3000 feet of range. -Mono-pole antenna with bright-blue LED. 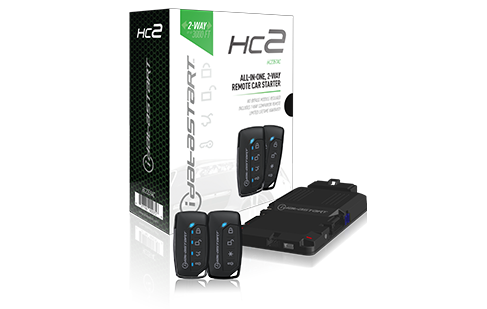 iDataStart HC series 2-way remote starter. -Comes with two transmitters with 2-way confirmation. 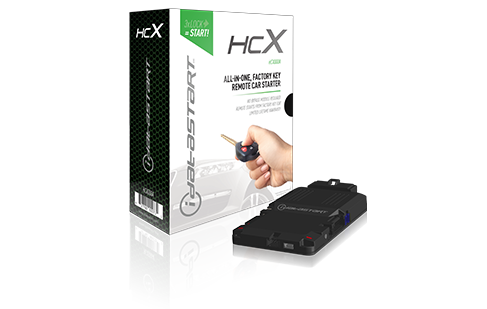 iDataStart HC series remote starter for OEM remote operation. Simply click the "Lock" button 3 times on your OEM remote to start and stop the engine. -3 lock start with OEM keyless entry remote. -Future upgrades to HC1 or HC2 available (sold separately). Complete window tint on all windows on vehicle except the windshield. Window tinting on 2 front windows. This is usually chosen to match the existing factory tint on the back half of a vehicle if equipped. Window tint on any vehicle side window. Window tint on rear window of vehicle. or special fasteners like other protection products.